I was thinking about remakes of films recently and came to a conclusion that there is more to them than a lack of original material being written. A few recent remakes that I can think of off the top of my head are The Stepford Wives, Planet of the Apes, King Kong, Superman, Cheaper by the Dozen, and War of the Worlds. Yet another remake is on the horizon, although it doesn’t make much sense because the original is known for it’s wooden acting, terrible special effects, and lack of continuity. But a guy named John Johnson wants to change all that and remake Plan 9 From Outer Space, hoping to release it Sept. 9, 2009 (9/09/09). I thought about why someone would want to remake this movie. Why now? Is it because we’re living in a time of war? Or because we’re in a time of economic contraction? For the scarcity of sources? Because we need more cooperation on a global level? I came to the conclusion that different themes will fulfill different needs for people at different time periods. 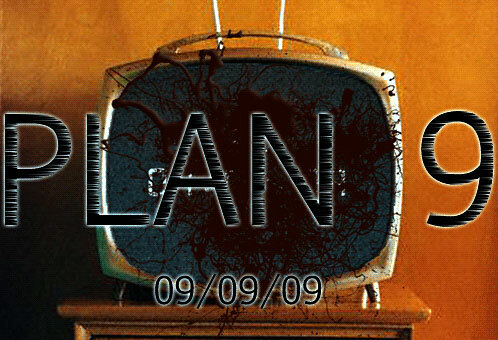 History tends to repeat itself, so we crave the same themes after years of being without them. We have a need for reinvention of stories, even though sometimes (arguably usually) the remakes are not great, but the process of making them fulfills more for us than the film itself. 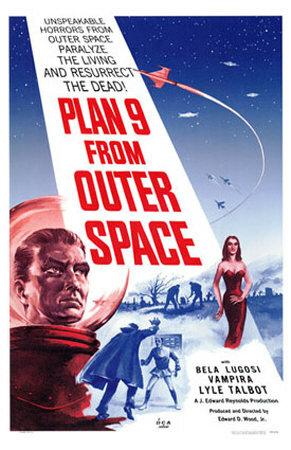 I’m interested to see how Plan 9 From Outer Space turns out, and if people will even give it the time of day.